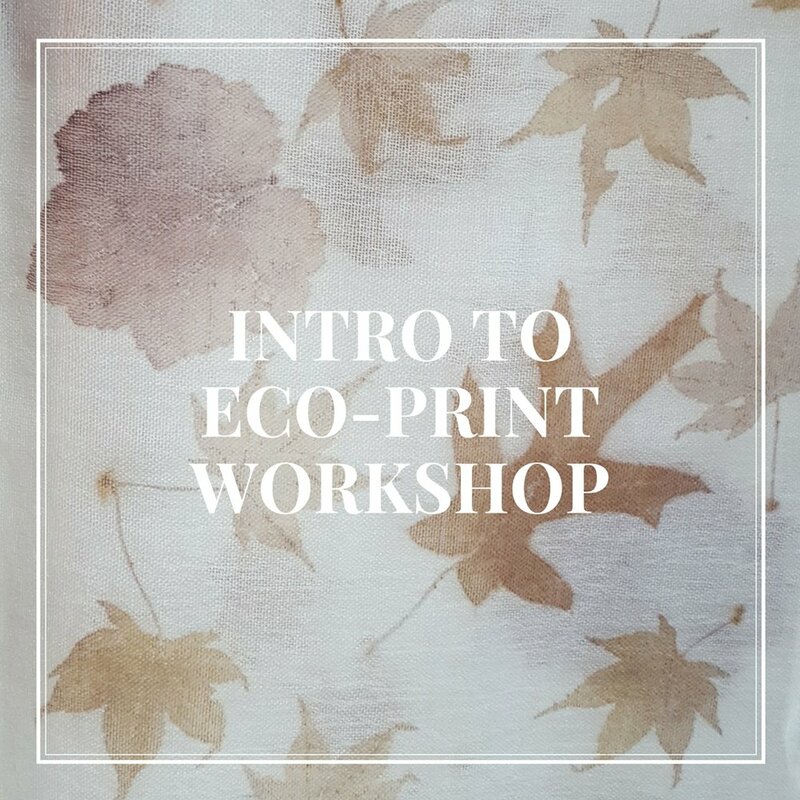 Participants will learn the basics of eco printing and will create their own silk scarf, naturally printed with local leaves. This is a 4 hour introductory course. Students will go home with a materials list as well as instructions and tips to experiment more with the eco printing process at home.